On May 21, 2013, Judith L. Pasewark, Administrative Law Judge (ALJ) from the Office of Administrative Hearings(OAH), Special Education Division, presided at the due process hearing on this matter. Lauri A. Arrowsmith, Esq., represented Anaheim City School District (District). Sherry Blakely, the Director of Student Services for the District, attended on behalf of the District. Parent represented Student (Student, sometimes, Parent or Mother). On March 22, 2013, OAH granted Parent’s request for a continuance request. Parent participated in the telephonic Prehearing Conference held on May 8, 2013. On May 9, 2013, OAH served a true copy of the Order Following Prehearing Conference on Parent via U.S. mail and GSO overnight delivery. Mother did not comply with the ALJ’s orders as contained in the Order Following Prehearing and did not file a witness list or exhibit list as requested by the ALJ. This matter was scheduled to begin hearing on May 21, 2013, at 9:30 a.m. Parent did not appear for the hearing. The hearing was delayed. Ms. Blakely checked to see if Parent had contacted the District to indicate she was delayed. Parent made no contact with the District or OAH, therefore the hearing began at 9:45 a.m. to allow the District to present its case. Student did not attend the hearing. The District filed its Request for Due Process Hearing on April 2, 2013. The matter was continued on April 22, 2013 at Parent’s request, to the current hearing date of May 21, 2013. On May 21, 2013, Parent did not appear for the hearing, therefore, the District proceeded with a default hearing. The District’s documentary evidence, Exhibits 1 through 17, were identified and moved into evidence. Testimony was taken, and the hearing was completed and submitted on May 21, 2013. Decision on this matter is due on June 16, 2013. The sole issue presented by the District is whether the District may assess Student pursuant to the Assessment Plan dated March 28, 2013. 1. Student, currently a fifth grader, began attending school within the District at the beginning of the 2012-2013 school year. At that time she was not eligible for special education, having been exited by her prior district of residence in 2012. 2. On June 15, 2010, Student became eligible for special education and related services during her residence in the Alvord Unified School District (Alvord). Alvord developed an individualized education program (IEP) to comport with Student’s eligibility of emotional disturbance. Mother consented to the IEP. 3. According to the educational records received by the District, Student subsequently moved to the Fullerton School District (Fullerton). On May 2, 2011, Fullerton held a 30-day IEP meeting, which included an extensive behavioral assessment. 1 Due to Student’s disruptive behaviors, Fullerton determined Student continued to qualify for special education and related services under emotional disturbance. Fullerton prepared a formal IEP, however, Mother did not consent to this IEP. 4. 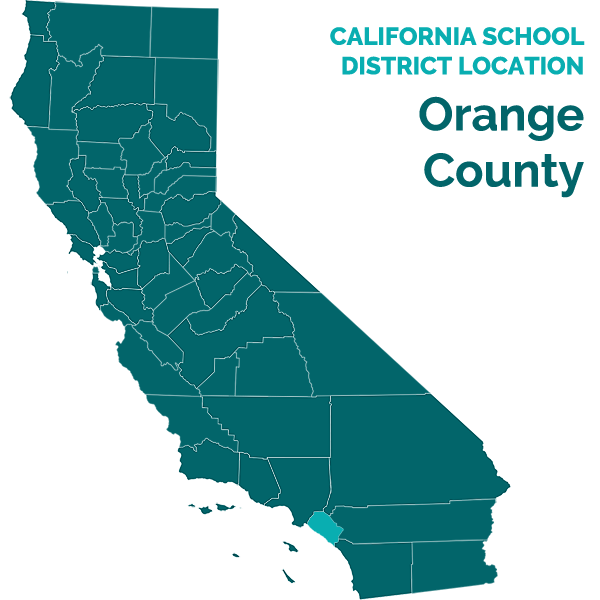 Student relocated to the Garden Grove Unified School District (Garden Grove) for the 2011-2012 school year. Garden Grove held a 30-day IEP meeting on September 15, 2011, based upon the Alvord 2010 IEP. Garden Grove also found Student eligible for special education and related services under emotional disturbance. There is no signature page attached to this IEP, however the notes reflect (1) Mother attended this IEP meeting; (2) the 2010 goals and resource specialist program (RSP) consultation were accepted on an interim basis only; and the IEP team would meet again prior to December 3, 2011. 5. On December 2, 2011, the Garden Grove IEP team reconvened, and exited Student from special education. The IEP notes reflect that Student’s general education teacher and resource specialist reviewed Student’s completion of her 2010 goals and her present levels of performance (PLOP). The IEP team determined that Student had made excellent progress and her behaviors were being adequately addressed in the general education classroom. Therefore, when Student transitioned into the District in December 2012, she had been exited from special education, and no longer had an IEP or behavior plan. 7. Ms. Iwanaga kept a behavior log on Student. The log indicates Student has falsely accused staff of hitting her. She has a history of “HUGE” outbursts during class time. Nothing will calm her down. As one example, during a spelling test, Student carried on yelling profanities, and verbally threatening other students. This tirade lasted six to eight minutes and disrupted the entire class. She has a history of baiting and bullying other children, sometimes reducing them to tears. Student is combative, defiant and hostile with Ms. Iwanaga, to the extent Ms. Iwanaga reported in the log that she (Ms. Iwanaga) was very nervous and stressed because she, did not know if Student was going to hit her. In parent conferences with Mother, Mother has indicated that she has taught Student to stand up for herself and aggressively retaliate. Student’s behavior, however, is more than advocating for herself. Student baits others and gets in their space. Her behaviors occur across all school environments. 2 Mr. Ramirez also has experience as a classroom teacher. 8. Alejandro Ramirez, the Principal at Sunkist, credibly testified at the hearing. 2 As Principal, Mr. Ramirez is responsible for student discipline. Student’s discipline record is of concern to him. Student’s behaviors can quickly escalate “from zero to sixty” over little things. Student is disruptive, and loud. She becomes aggressive when she feels she is right. The District has submitted into evidence 14 complaints written by other students regarding Student’s bullying behaviors, racial slurs, and threats. The other children feel threatened and are afraid of her. Based upon the complaints and reports of her classmates, Student shows a pattern of intimidation. Mr. Ramirez concurs with Ms. Iwanaga that Student’s behavior is not like that of typical peers. 9. Mr. Ramirez also reviewed Student’s records from Garden Grove. In addition, he spoke with Mr. Chang, the Principal at Student’s prior elementary school in that district. Mr. Chang indicated that Student had received special education and related services while attending his school, due to her inappropriate behaviors. Her aggressive behaviors at school were significant. According to her exit IEP however, Student no longer had difficulty completing her work, making friends, working in groups, and maintaining her ability to remain calm in the general education classroom under normal circumstances. The IEP noted that Student still had difficulty adjusting to changes, and her behavior should still be monitored in those situations. 3 The other student involved in this altercation was no angel either. Both students had been previously counseled regarding making inappropriate racial comments and how to appropriately handle such remarks by reporting them to responsible adults. 10. On March 5, 2013, Student and another classmate were suspended for fighting. 3 The tension between the girls had been growing, and in response to an inappropriate comment, Student hit the other student in the face with a closed fist three times before the teacher could intervene. Mr. Ramirez met with Mother to discuss Student’s suspension, at which time Mother exhibited racial bias, accusing Mr. Ramirez of taking sides because the other child was of the same ethnicity as he is. The relationship between Mr. Ramirez, the District and Mother further disintegrated. Mother on a later occasion made additional racial comments regarding the ethnic demographics of Sunkist. 11. On March 22, 2013, Mr. Ramirez was again called to Student’s classroom to deal with one of Student’s tirades, which also required the intervention of the school psychologist. Student continued to be uncooperative and tried to leave the area. At that time, Mr. Ramirez blocked her exit with his arm. When Mother arrived later in the day to discuss the incident, she accused Mr. Ramirez of “touching Student” and requested that the police be called. At this time, the only point of contact between Parent and the District is through the office of Pupil Services. Based upon all information collected, as well as upon his own experiences with Student, Mr. Ramirez believes Student has difficulty with social interaction and anger escalation, which require assessment. 12. Kristin Cinco, the District’s Program Specialist for Mental Health Services, also credibly testified. Ms. Cinco was previously a school psychologist for the District. As program specialist, her duties include evaluating students for special education, including assessing emotional disturbance, as well as assessing all other areas of need. It is noted that Student is very bright and has been transferred to the District GATE program for gifted students. 13. Ms. Cinco reviewed all of Student’s prior assessments and IEP’s. She noted a common theme throughout the documents is Student’s inability to control her temper, build social relationships, and complete her school work. These are the same behaviors Student exhibits within the District. While Garden Grove exited Student from special education, they did not conduct an exit assessment. Further, Student continued to exhibit a similar pattern of behaviors even after exiting special education. 14. Based upon her meeting with Mother, as well as the information provided to her by the District, on March 28, 2013, Ms. Cinco prepared a written request to assess Student for special education and related services. Attached to the letter was an Assessment Plan, which requested parental consent to assess Student in (1) academic achievement; (2) language and communication development; (3) psycho-motor development; (4) health, vision and hearing; (5) self-help (adaptive functioning); (6) social/emotional behaviors status; (7) functional behavioral assessment (FBA); and (8) observations, review of records, and other memory and processing assessments as determined by the school psychologist 4 On April 1, 2013, Mother returned the executed Assessment Plan to the District, indicating she did not consent to the assessments. Ms. Cinco explained to Mother that: (1) it was unknown if Student qualified for special education, but the District suspected Student had unique needs which would qualify her for services; (2) even if Student qualified for special education and services, Mother could still refuse to accept special education and refuse to implement an IEP and services; and (3) even without special education eligibility, the assessment could assist the District in determining how to better serve and educate Student. Nevertheless, Mother does not want the label of “emotional disturbance” for Student, and has steadfastly refused to consent to assessment. 15. As previously indicated, Student has been placed in a high academic GATE program. She remains unable to interact with the other students. If her maladaptive behaviors continue, she cannot continue her education in the GATE setting. Based upon the above factual determinations, it is clear the District has a reason to suspect a disability, and the District must be given the opportunity to assess Student to determine eligibility for special education and related services. 1. Under Schaffer v. Weast (2005) 546 U.S. 49, [126 S.Ct. 528, 163 L.Ed.2d 387], the party who files the request for due process has the burden of persuasion at the due process hearing. In this matter, the District has the burden of proof on its issue. 8. Pursuant to Legal Conclusions 3 and 4, the District has mandated duties under both federal and state requirements for child find. Assessment Plan dated March 28, 2013, without parental consent. The decision in a special education administrative due process proceeding must indicate the extent to which each party prevailed on the issues heard and decided. (Ed. Code, § 56507, subd. (d).) The District has prevailed on its one issue.